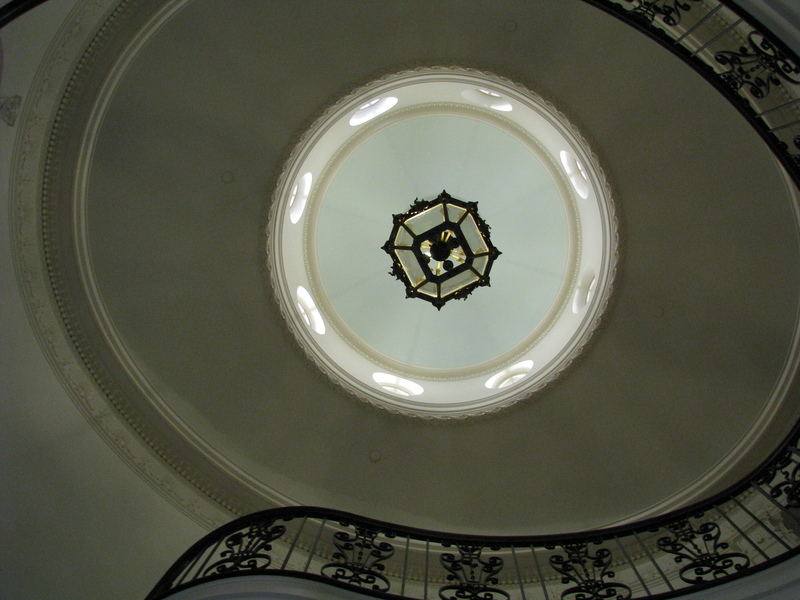 What I see is a recessed ceiling alcove with little circular windows surrounding a chandelier that hangs at the top of a circular staircase. What I think is this view is disorienting! 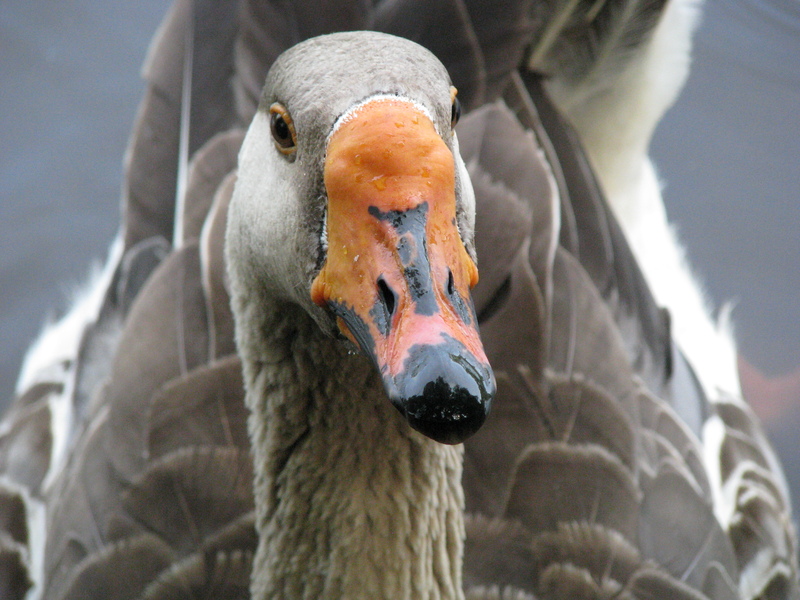 What I see is a goose. What I think is there are trees reflected on his bill. What I see is the side of a building that would be rather nondescript if it weren't for several of these little indentations placed at intervals along the wall. 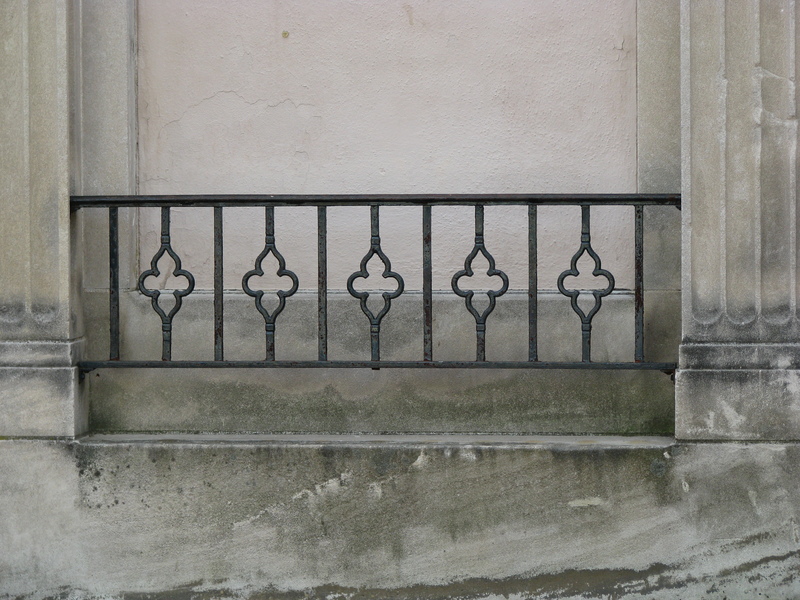 I thought it was interesting that someone paid to have a railing put here that serves no functional purpose. What I think is that wild animals don't decorate their spaces for the specific purpose of having something pretty to look at. an entirely new habitat for themselves. Of course, I kind of like how the old one is decorated. Another detail photo. 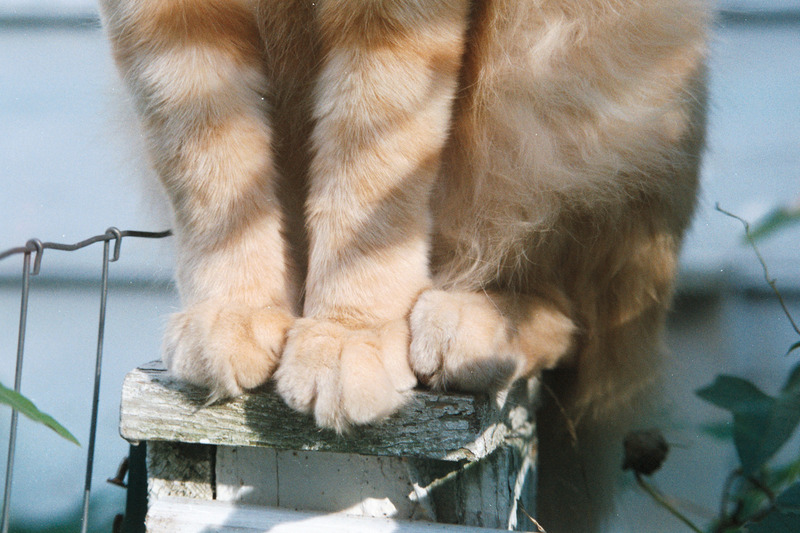 What I see here are Idgie's feet; he was a percher. He was also a loving, independent, fierce, roving, fun, loyal, spunky, confident, wonderful cat. That's why we named him Idgie. What I think is a picture is worth a thousand memories. that we all carry about with us. 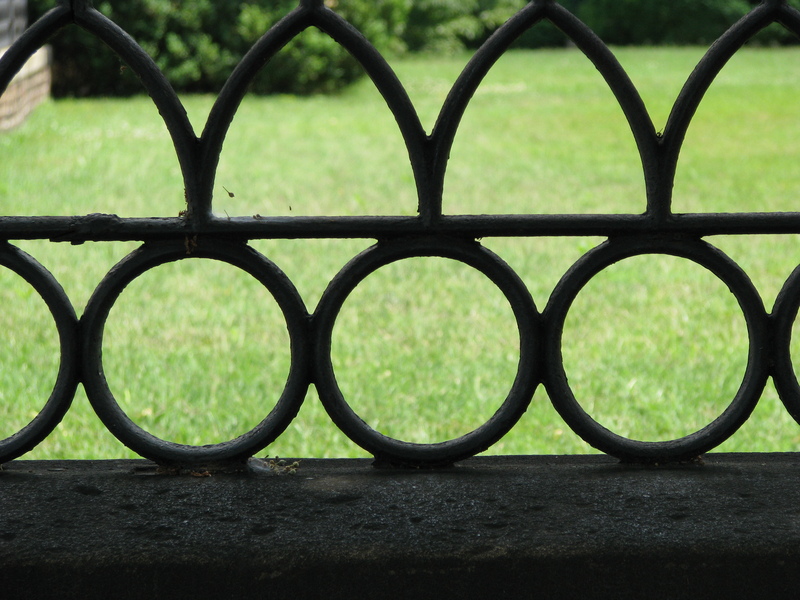 What I see is a small section of the fence that surrounds a church in downtown Fredericksburg. For some reason, I find the repetition of dark shapes against the cool green background very relaxing. What I think is the detail is as interesting as the whole. It’s the little things that are vital. I've been thinking about details recently. 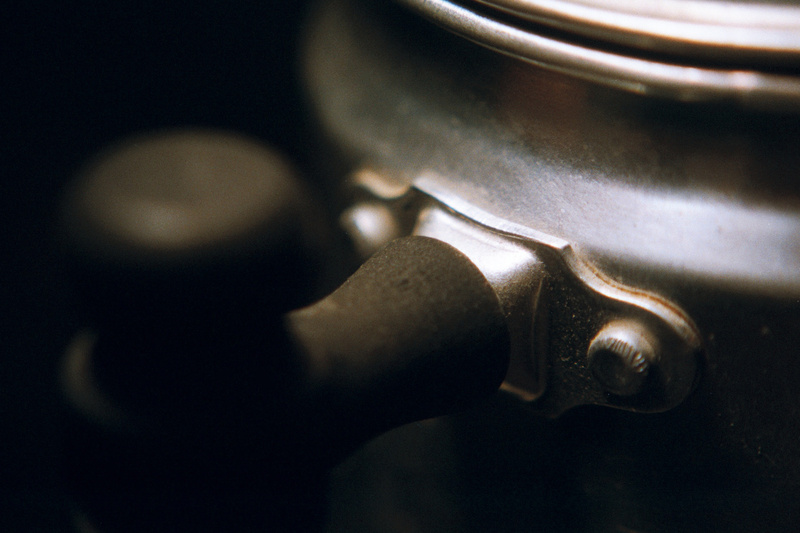 What I see in this photo is a detail shot of a little metal tea pot. I've always liked this picture, the shiny metal, the matte feel of the black wooden handle and how it fades into insubstantiality. What I think is the cut and curves of the metal plate seem beautiful, almost a work of art. the exquisite care of execution.